Following a deadly attack on refugees near Aleppo which left over 125 people dead, including dozens of children, UNICEF’s senior spokesman in Jordan told RT about the dire situation in which kids are locked in the country. The bombing, which took place last week, targeted a bus convoy carrying hundreds of evacuees. At least 125 people were killed in the assault, according to local human rights groups, over 60 of which were children. There have been some reports that children were specifically targeted. 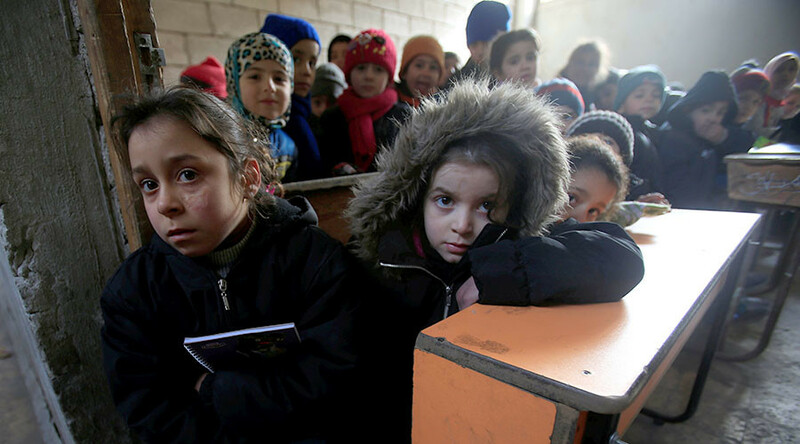 While it’s difficult to estimate exactly how many children have died during the Syrian crisis, UNICEF reports that at least 652 kids were killed last year, 255 of them in or near a school. Malene Jenson, UNICEF’s Senior Communication Specialist in Jordan said that children in the war-torn state are increasingly getting into crosshairs of the warfare. RT: The children who were killed were reportedly lured to the explosive packed vehicle with the offer of snacks. Do you think the children could have been a primary target of the attack? Malene Jenson:We’ve heard those reports about the children being lured but we don’t have any verification whether that actually was the case. But what we have seen over the past six years, and remember this is six years into a very bloody conflict, children have again and again been targeted in attacks. UNICEF was very quick at coming to condemn this latest incident. And again, our message is not only that this should break our hearts, this should [also] really bring our resolve even stronger and make us angry to the point where we demand an end to what is happening. Children again and again are paying the highest price for a conflict that is not of their making, and it has to stop. RT: How would you describe the conditions of children living in the rebel-held areas? MJ:I think overall in Syria the conditions are extremely grim. We came out with a report saying that last year, it has really hit rock bottom with the situation of children throughout the country. And remember children are children, it does not matter where they are in the country. They need to be able to be reached with humanitarian assistance and the basic necessities that children require. That means access to clean water, immunizations, medicine, all those basics that are so vital that they’re not able to receive. RT: What is your major concern for children in Syria? And as well as the physical and psychological trauma, don’t they also need education? MJ:That is correct. Right now, about 1.7 million children throughout the country do not go to school; schools have been targeted, classrooms have been damaged; internally displaced people, some of them moved up to four or five, seven times even, are occupying those classrooms. UNICEF is on the ground, we’ve been there for the past six years. We’ve stayed the course, and we’re working round the clock to provide children with access to learning through safe spaces with basic necessities such as water, nutrition and blankets for when it gets extremely cold in the winter. And the winters do get very, very cold. We tend to forget the basic comforts and necessities that we all need. We all need the warmth, we need a sense of safety and security. Children, some of them have never known one single day without potentially being the target or the victim of very brutal violence, and it simply has to stop. The message UNICEF is sending is that all parties in this conflict and anyone who has influence over those parties, they need to ask for the protection and the safety of those children, and we need to stop these sieges. We have about 2.8 million children living in hard-to-reach areas and about 280,000 children who are living in areas under siege. That means they do not have access to water, they do not have access to food that they require to grow and survive. They do not have any of the basic necessities that is required to live and to sustain life. RT: Has the situation plateaued? In your opinion, is it going to get worse, is it going to get mildly better? Where is it going to go over the next couple of months? MJ:As we’ve already said in our statement about this very brutal attack and seeing the children lying on the roadsides, no-one knows. 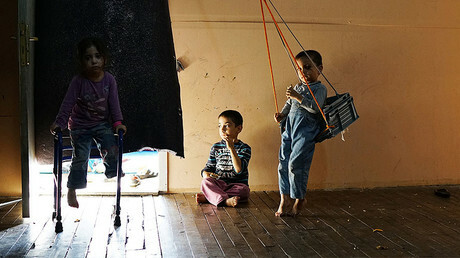 Just when you think it cannot get worse for children in Syria, it gets worse for the children. I don’t think anyone can look at those images and not just be horrified about what we’ve doing to children inside that country.